At last, a baby blog design after many cake and cookies blog order. 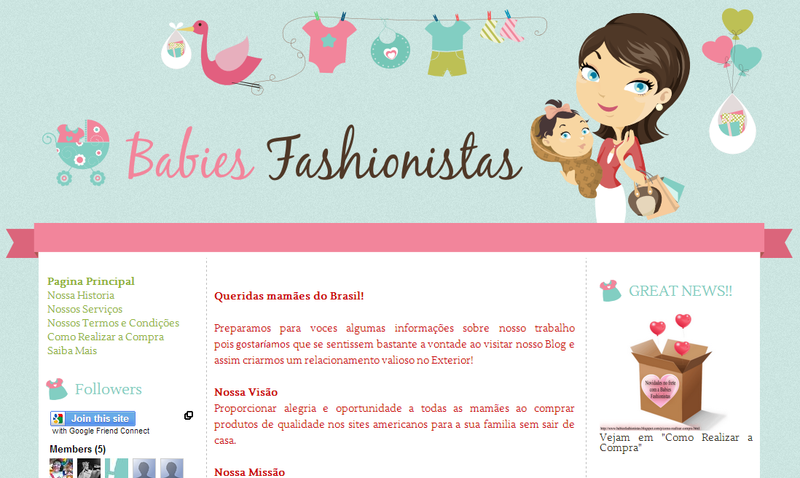 Babies Fashionistas is fashion baby online shop blog owned by Janete from Brazil. I choose baby blue and pink color. Actually choosing color is hard part of designing. I can spend one day only for choosing match color haha. The next hard thing is choosing font. Really. But the best part is if the client love the design. Priceless. Check the preview of Babies Fashionistas blog. Once again thank you very much for your great job. I've already had so many visitors on my blog. A good designer really also makes the difference for our online business. hi, how to download this template? very cute. Wow, Century Gothic! Fantastic! Blue and pink are the most famous colours for baby designing stuffs, that template you have given above is really attractive and all colours are eye cooling. how do I download a template? hi, how can i use this as template? how can i hire u to create one for me?